The Shops at Dove Creek is opening in a few months as the next power center on San Antonio’s Far West Side. 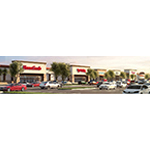 This area has seen continued demand for big-box retail. Portions of the land have been sold to users like KB Homes, Casey Development, and Flix Brewhouse LLC. 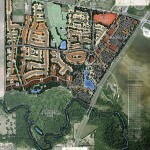 Plans include a 170-unit subdivision behind the retail part of the development and an apartment complex. The University of Texas at San Antonio has received a $15 Million gift to support their proposed School of Data Science. One of UTSA’s major component is to accelerate the development of its Downtown Campus as a destination for producing professionals in big data and analytics, advancing economic development in the urban core, and creating prosperity for San Antonio. San Antonio’s growing economy propelled the local housing market to another record sales year in 2017, but the supply of homes on the market remains extremely tight. 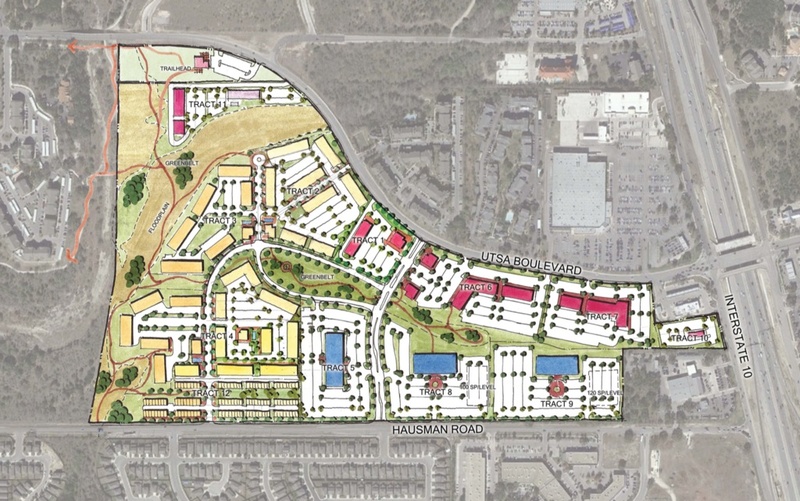 Development plan for 114 acre UTSA Blvd site. Population growth triggering expansion of need based retail sites. City Council approved zoning changes that will allow local developer Efraim Varga and investment partners to construct a multi-block, mixed-use complex in the Eastside’s Denver Heights. 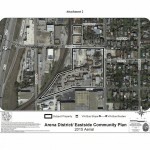 A $43.5 million improvements package was approved in January 2015 that is slated to improve connectivity to the Henry B. Gonzalez Convention Center expansion and Hemisfair Park. 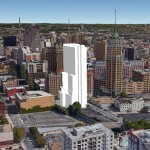 JMJ Development is sourcing $47 million in debt and equity for the construction of Villita Tower at 120 Villita St. The 30-story, 201-unit, market-rate multifamily residential development is soon planned for this supply-constrained metro. Villita Tower capitalizes on the tight rental market of San Antonio. The median price for an existing single-family home hit a record high of $188,200 in June, up 5 percent compared to the same month last year, according to the San Antonio Board of Realtors (SABOR). Activity also picked up. June sales totaled 2,474 – up 6 percent compared to June 2013 and a reversal of the decline posted last month.